Southern Tier’s “Iniquity” was a fantastic imperial Black IPA that I first reviewed back in 2012. I haven’t had it much since then, which is weird considering how much I enjoyed it. Unfortunately, it was retired; but now it seems to be resurrected in the form of 2XIBA, which is a slightly smaller brew of the same niche style (how the recipes compare - only a brewer could say I’m sure). This may not be world class, but it is very good for the style. I poured a 12oz bottle into my Southern Tier Choklat snifter. It was bottled on 7/14/15 and cost $3.15 ($0.26 per ounce). Appearance: Dark blackish/brown hue; not completely opaque but still pretty dark. Pours to a one figer, white, foamy head which laces and retains fairly well. Smell: Strong hop presence of citrus, pine, and flowers. A very clean, bright aroma. 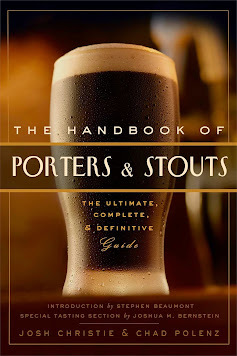 Taste: I’ve always thought of the Black IPA as one of the best styles since it’s the best of both worlds: the hops of an IPA and the maltiness of a stout. The thing is, both of these flavor components should be prominent and yet balanced off each other. In the case of this brew the hops definitely overwhelm the malts. That’s okay because I really enjoy the taste: sticky resin and pine sensation up front with a lovely orange juice flavor on the finish. A bit of a coffee flavor on the aftertaste, though not much in the way of roasted malt or other traditional stout flavors. The beer is pretty bitter; probably 60-80 IBUs; with a bit a sharp edge to it as it goes down. I’d be interested to try this in a few months after the hops have mellowed to see if it actually becomes more balanced. Drinkability: The original Iniquity was a beast at 9% ABV, but 2XIBA is “only” 8% ABV. You’d never know it, though, as there is zero alcohol presence in the taste or delivery. No warming sensation, either. The mouthfeel is not quite as intense as brews of the weight tend to be; more of a medium body with a noticeable thin, calmness to the mouthfeel. Hops linger momentarily, but are quite tolerable. I wish the malts lingered as well.